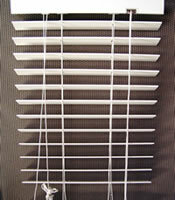 Our 2" faux wood blinds are an excellent value. They are available in custom sizes from 10" x 10" all the way up to 73" x 96". 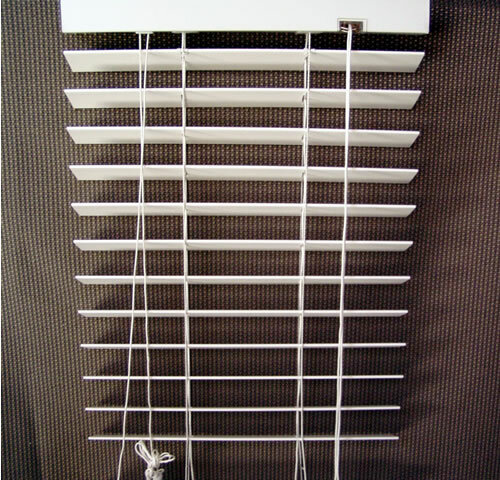 They are available in white or dove white, and include all necessary hardware for installation. The drawstring is on the left side and the tilter is on the right as shown in the photograph on the left.